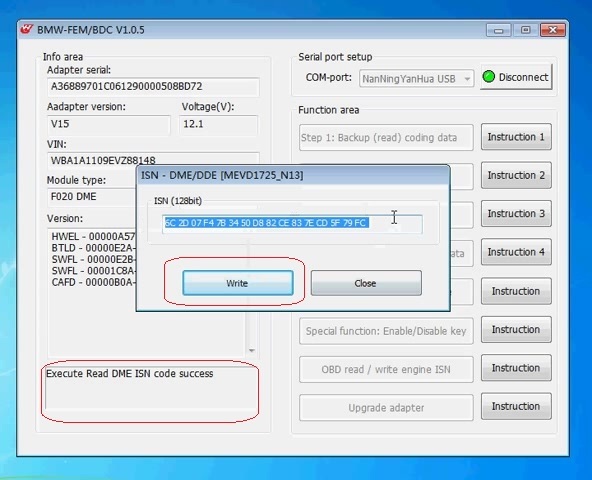 Pops up “ISN – DME/DDE [MEVD1725_N13]” and “Execute read DME ISN code success”. Click on “Write” to have new DME ISN code and wait until writing succeed, click on “Close”. 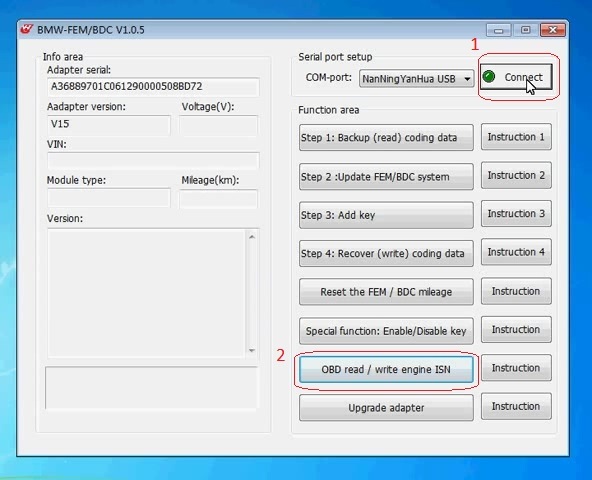 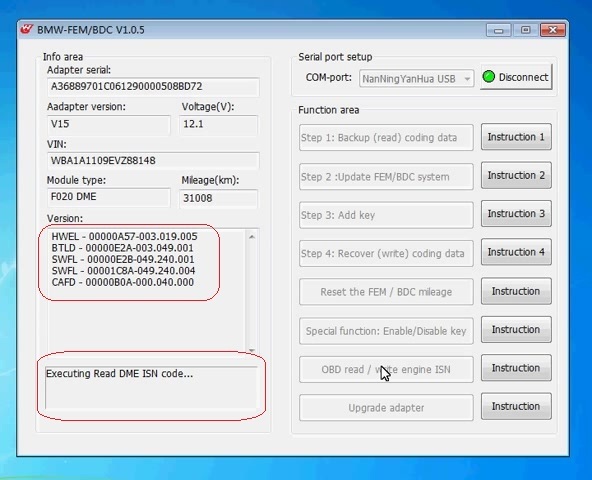 Yanhua BMW-FEM/BDC V1.0.5 read and write DME ISN code succeed.